GARY NUMAN has had a rather busy few years, what with the successful releases of the highly personal ‘Splinter (Songs From A Broken Mind)’ , as well as it’s not so identical twin ‘Savage (Songs from A Broken World)’ , becoming his twentieth opus. From the more intimate and close to home to that of a much wider environmental reach, Numan covered all the bases proving that being the veteran of vintage electronica, one can achieve exceptional albums this far in their career… so yes DEPECHE MODE, it can be done after all those years! Having portrayed the terrifying dystopian future on ‘Savage’, the world’s first synth pop star, is carrying on the forward momentum into 2018 with this Autumn seeing in the fresh EP entitled ‘The Fallen’ . 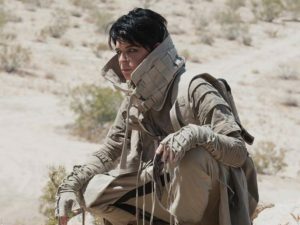 For his most recent long player, Numan decided to crowdfund via Pledge, taking advice from none other than his (now) LA pal Chris Corner aka IAMX, thoroughly enjoying the idea of getting fans involved in the processes surrounding the making of the album and ‘The Fallen’ continues the themes from ‘Savage’, sharing the barren landscape of broken world and seeing Mr Webb still clad in protective clothing. And following the uncertain view into the things to come, now we are told with some certainty that ‘It Will End Here’. 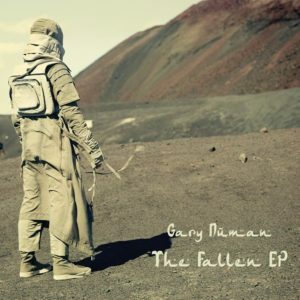 The apocalypse is looming, as the anthemic chorus enters, progressing from the classic vocal wizardry Numan is well known for, rising steadily to smooth over the gothic crack which provide a vampiric quality to the tune. ‘The Promise’ offers gritty guitars alongside a very haunting vintage Numan-esque synth, filling the void between his most accomplished imperial work and the present eastern inspirations. The theme continues with a further dose of Persian connotations in a very mature, if slightly demure electronic ballad ‘If We Had Known’. Almost with a feeling of dread, the listener is transported into unknown lands and presented with, what ultimately is a stunning love song, but also a “goodbye to all my friends”. Short and sweet as it is, ‘The Fallen’ bridges the gap between ‘Savage (Songs from a Broken World)’ , continuing along the same musical path of inspirations from afar mixed with an enormous talent and synth know how, and what hopefully will be a new opus. Soon?